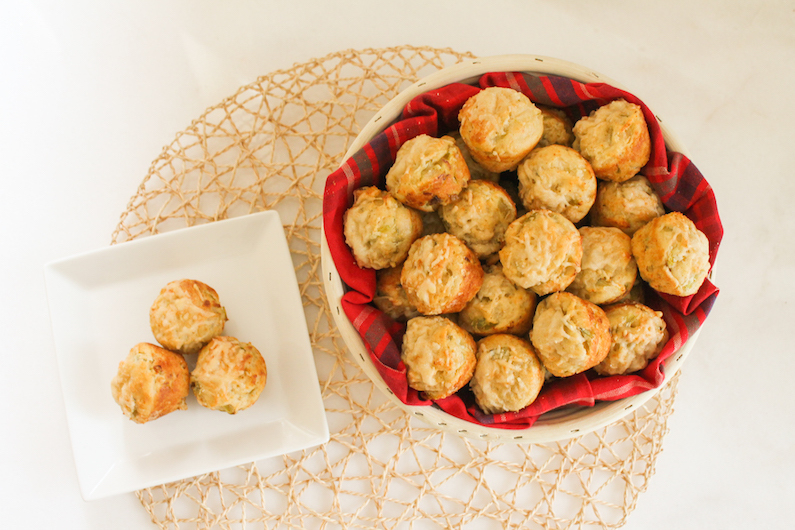 Cheesy artichoke dip mini muffins are made with all of the wonderful ingredients of our favorite hot baked dip: artichokes, of course, along with Parmesan cheese, mayonnaise and green chiles. Here I recreate our favorite dip in muffin form. 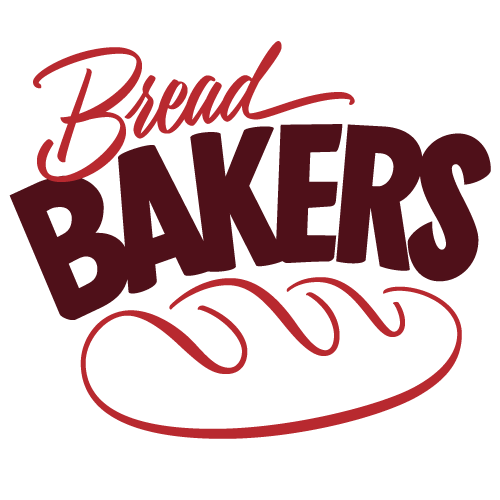 Bake some up and pour yourself a drink! 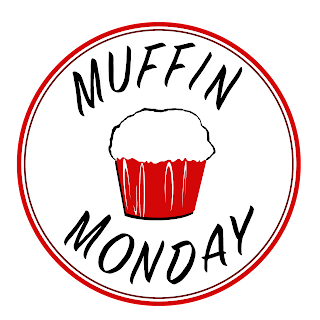 And make sure to scroll down to the bottom to see the other Muffin Monday recipes I'm sharing. 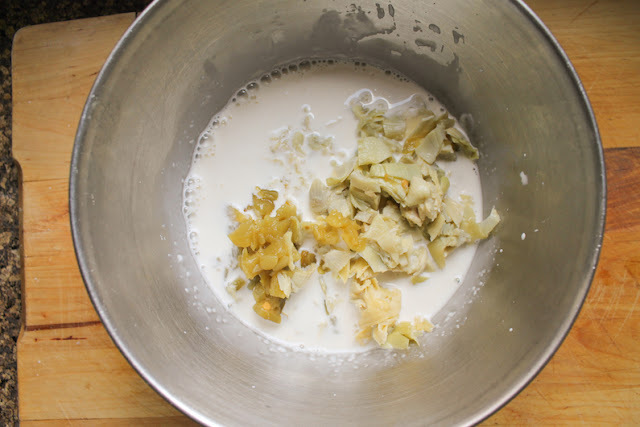 To get most of the packing liquid out of the artichokes, give each one a gentle squeeze then place them bottom up in a sieve so they can continue draining. To completely drain the green chiles, put them in a sieve and press down with the back of a spoon. 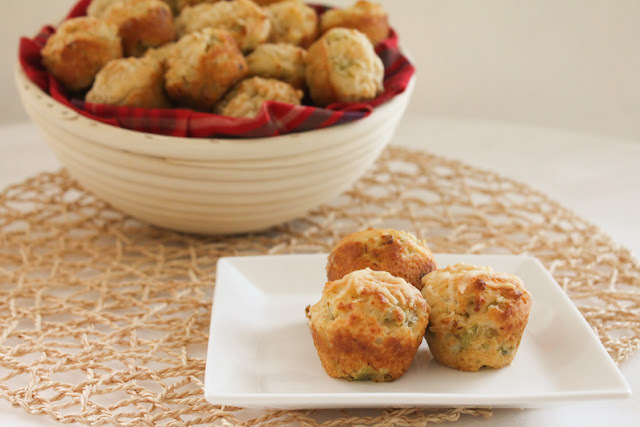 *Do not use marinated artichokes as those, even well drained, will add unnecessary oil to the muffins. 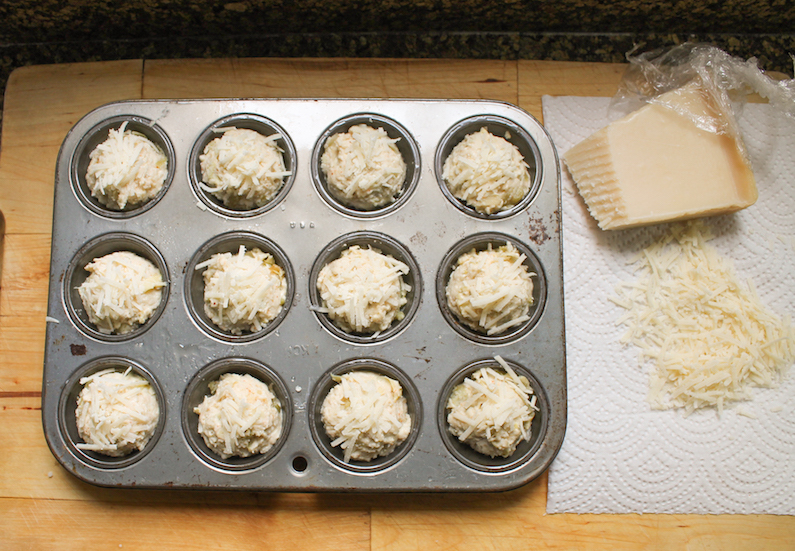 Preheat your oven to 375°F or 190°C and brush your mini muffin pans with oil. 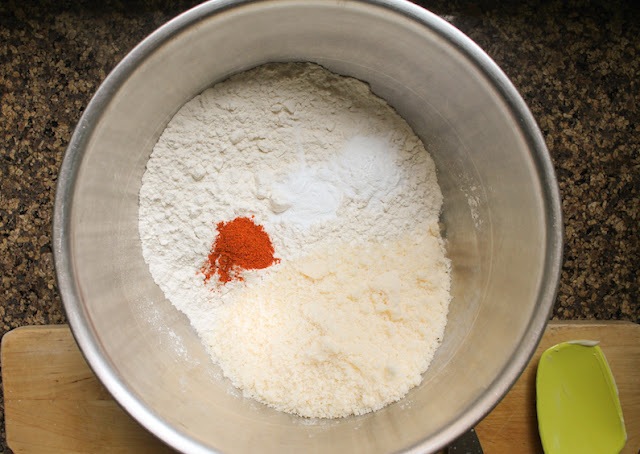 In a large mixing bowl, combine the flour, finely grated Parmesan and baking powder. 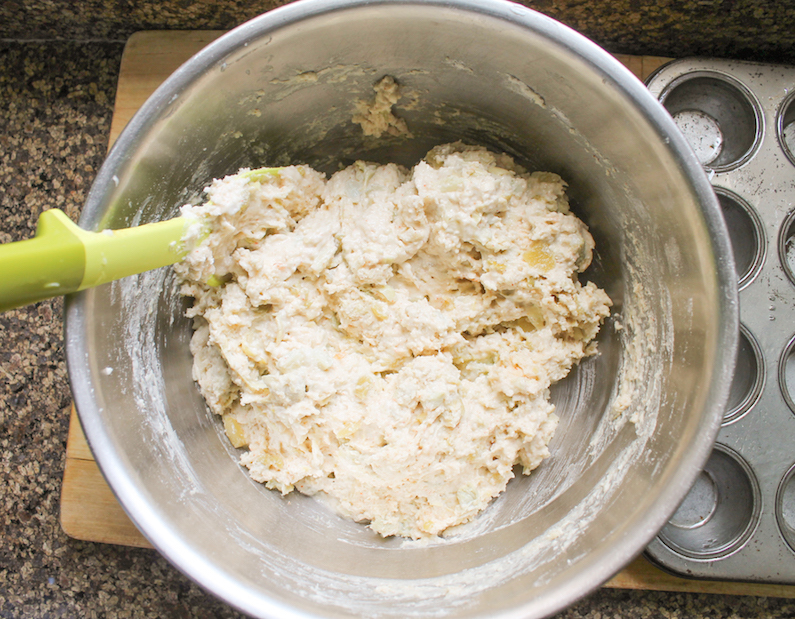 In another mixing bowl, whisk together the mayonnaise and milk. Chop the well-drained artichoke hearts roughly and add them to the mayo/milk bowl, along with the drained green chiles. Stir well. Pour the wet ingredients into the dry ones and fold just until the flour is moistened. Use a tablespoon or scoop to fill the prepared muffin pan. My scoop is 2 tablespoons. 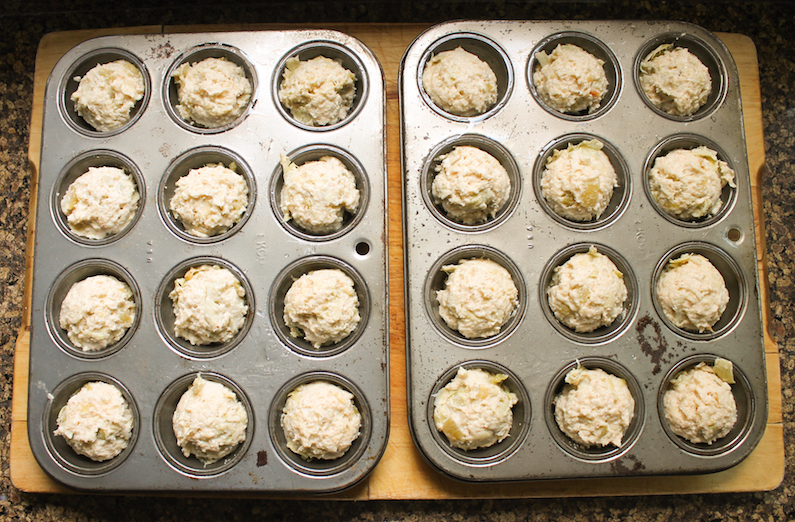 Using it, the batter made 34 mini muffins. 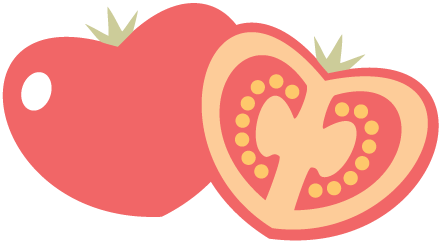 Top with some extra grated Parmesan, if desired. Bake in the preheated oven for 12-15 minutes, or until the muffins are golden and a toothpick inserted in the middle comes out clean. 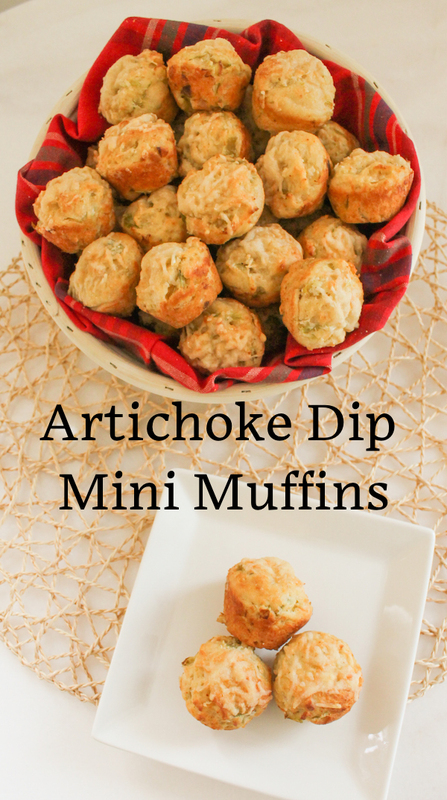 These delightful savory morsels are excellent served with cold beer, a crisp dry white wine or a full-bodied red. 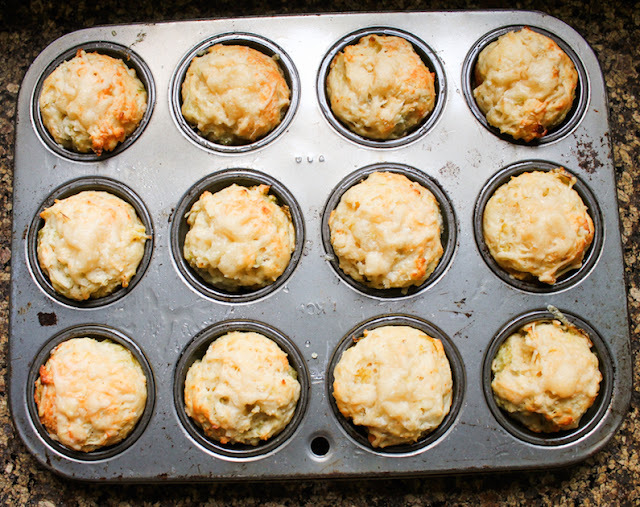 This month my Muffin Monday group is sharing five wonderful recipes. 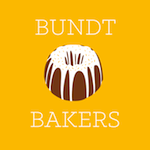 Get baking!